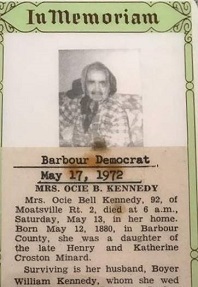 Osa Bell "Ocie" (Minerd) Kennedy was born on May 12, 1880 or 1882 in or near Philippi, Barbour County, WV, the daughter of Henry C. and Sarah Catherine (Croston) Minerd. At the age of 21 or 23, Ocie married 24-year-old William "Boyer" Kennedy (Jan. 2, 1878-1976) on July 28, 1903. The informant for their marriage license was their neighbor Melchior Male of Barbour County. Rev. Israel Moats, who performed many marriages in the extended Minard-Kennedy-Mayle family, conducted the ceremony at the groom's residence. Their marriage lasted for 72 years until the separation of death. It is not known how William was closely connected with Ocie's uncle and aunt, Josiah and Ruth Ann (Minard) Kennedy Sr. but there must have been some family link, even if somewhat distant. The Kennedys resided at Moatsville and produced eight children -- Virginia "Jennie" Newman, Delbert Kennedy, Raymond Kennedy, Luther Kennedy, Gaston Kennedy, Herbert "Hoover" Kennedy, Ralph Kennedy and Rev. Isaac "Brother Ike" Kennedy. When the 1910 census was taken, Boyer and Ocie lived near Philippi, where he worked as a general farmer. The 1920 census shows the family, now with four children, near Meriden in Philippi. In the 1930 census, Boyer is shown as a farmer, with seven young sons in the home. They attended the Olive Hill Wesleyan Methodist Church. Sadly, the Kennedys suffered the mysterious death of their son Raymond in 1950. Ocie was named in the newspaper obituary of her sister Icie Kennedy in 1962, and was living in Philippi at the time. She died at home on May 13, 1972, a day after celebrating her 92nd birthday. An obituary in the Barbour Democrat noted that she was survived by 25 grandchildren, 32 great-grandchildren and two great-great grandchildren. Rev. Murry Mayle officiated at her funeral service, held in the family church, followed by interment in Welch Cemetery. Boyer outlived her by four years, and became blind toward the end.. He passed away on Aug. 20, 1976, at age 98, with burial at Welch Cemetery, following funeral services held in the family church, led by Rev. Winfield Mayle. Daughter Virginia "Jennie" Kennedy (1912-1991) was born in 1912. She married George Allen Newman (1907-1979) on Sept. 10, 1928 at Meriden, near Philippi. She was age 16, and he 21, at the time of marriage. Rev. M.C. Harris of the A.M.E. Church officiated. Her father provided the details for their marriage license, and fibbed about her age, stating she was 18. They resided first at Phillippi and later migrated to Enon Valley, Beaver County, PA.
Their eight children were Harvey Newman, Franklin D. "Frank" Newman, Robert "Rob" Newman, Justine "Teen" Croston, Peggy JoAnn Dalton, Patricia Annabelle "Trish" Croston, Buster Newman and Cecil Newman. George passed away on July 5, 1979. Jennie outlived him by 12 years, and died at the age of 78 on Sept. 26, 1991, at the Medical Center of Beaver, PA. At the time of her death, she and George had 16 grandchildren and 18 great-grandchildren. Daughter Justine "Teen" Newman (1930- ? ) was born on May 10, 1930. At the age of 16, she married 23-year-old Denver Croston (1921- ? ), son of Grover Cleveland and Frona Croston. Rev. M.C. Harris of the A.M.E. Church led the nuptials on Aug. 1, 1946 at Philippi. Showing how inter-connected the families were on the Chestnut Ridge, Justine's cousin Justine Mayle (of the family of Mary [Mayle[ Croston Hunter) was wedded to Denver's brother Shirley. Both families eventually migrated from Moatsville to Koppel, Beaver County, where employment was available. 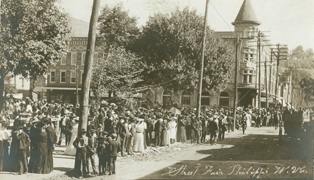 Street fair in Philippi, early 1900s. Would the family have been welcome in such an inter-mingling of society? Son Harvey Junior Newman (1933- ? ) was born on March 5, 1933 in Moatsville, Barbour County. He married Elizabeth Mayle (1933- ? ), daughter of Clifford and Thelma Mayle. Both were age 21 at the time. Rev. Fred DeCost of the Methodist church performed the nuptials on Feb. 5, 1955 at his residence in neighboring Taylor County. Son Franklin D. "Frank" Newman (1936-2013) was born on Oct. 29, 1936 in Phillippi. He moved to Beaver County with his parents and siblings, and secured employment with Babcock & Wilcox Tubular Products. He wed Cleta M. DeCost (1941-2005), and had three children -- Franklin D. Newman Jr., Lisa Daugherty and Tammy Ann Walworth. They lived in Darlington near Beaver Falls, Beaver County. After retiring, Frank worked for Vance's Landscaping and the Beaver Valley Country Club. Sadly, Cleta died on Oct. 11, 2005, in New Waterford, OH.. Frank spent his final illness residing at the home of his married daughter Tammy Walwort in New Waterford. He died there at the age of 76 on Sept. 8, 2013. Burial took place in Grandview Cemetery in Big Beaver Township. Grandson Franklin D. Newman Jr. made his home in Mercer, PA in 2013. Granddaughter Lisa Newman was wedded to James "Jim" Daugherty. They welled in Darlington, Beaver County. Granddaughter Tammy Ann Newman (1960-2018) was born on Christmas Eve 1960 in Beaver Falls. She appears to have been twice married. Tammy's first spouse was (?) Ferguson ( ? - ? ). They produced three children, Timothy L. Ferguson, Tiffany Marvin and Tayna A. Barnhart. Later, in 2003, she was joined in wedlock with Donald M. Walworth ( ? -living). Tammy was employed as a waitress at the Beaver Valley Country Club in Patterson Heights and was a member of the First Church of Christ in East Palestine, OH. She enjoyed cooking and gardening, especially raising flowers. Sadly, they endured the passing of grandson Ethan Russell Ferguson and stepson Justin Walworth. The Walworths lived in New Waterford, OH, and Tammy's father dwelled under their roof until his passing in 2013. Tammy died on Aug. 20, 2018. Her internal organs were donated to help three other people live. An obituary was printed in the Beaver County Times. Son Robert "Rob" Newman married Ricki and made their home in Ellwood City, Lawrence County, PA. Daughter Peggy Joann "Jo" Newman (1946-2018) was born on Jan. 16, 1946 in Moatsville, Barbour County. In about 1964, she wed Loran Dalton (March 29, 1945), the son of Rosaline Dalton and a native of Grafton, Taylor County. Their marriage lasted for 54 years until the separation of death. The Daltons were the parents of Joe Dalton and Lorri Dalton-Vance. They relocated to Beaver County, PA, where they dwelled from 1971 to 1991 in Big Beaver Borough. Their next home was just over the state line in New Waterford, Columbiana County, OH. JoAnn enjoyed interior decorating and cooking. Loran has been described as "loving, caring, hardworking" and owned his own businesses, Dalton's Trucking Company and Dalton's Sanitary Service, Inc. Sadly, at the age of 72, she passed away on Oct. 4, 2018. Funeral services were led by Rev. Jim Spatholt of the Trinity United Methodist Church in New Springfield, OH, with interment afterward in Crest Haven Cemetery in New Waterford. An obituary was published in the Beaver County Times. Compounding the family's grieving, Loran succumbed only four days after his wife, on Oct. 8, 2018. Rev. Spatholt again preached the funeral sermon. Grandson Joe Dalton married Debbie. Their offspring were Zachary Dalton and Katelyn Dalton-Hamilton. Their home in 2018 was in North Sewickley Township, Beaver County. Granddaughter Lorri Dalton wedded Jim Vance. They produced two children -- Dalton Vance and Cooper Vance. They resided in New Waterford in 2018. Daughter Patricia Annabelle "Trish" Newman (1949- ? ) was born on Nov. 26, 1949. At age 19, on June 21, 1969, she wed 21-year-old Tommie Joe Croston (1947- ? ), a native of Flemington, Taylor County and the son of (?) and Bertha (Croston) Mayle. Rev. Winfield S. Mayle of the Methodist Church officiated. Circa 2013 they made their home in Canton, OH. Son Raymond Kennedy (1913-1950) was born in 1913. At the age of 20, Raymond married 31-year-old Ollie Croston (1902- ? ), the daughter of Hans Croston, on June 10, 1933. She was 11 years older than her husband. Ollie had been married once before, and brought several children to the marriage, Amos Croston, Junior Croston and perhaps others. Ray and Ollie went on to have at least one son of their own, Edward Kennedy Sr. Two other children were involved, but their precise connection is not yet ascertained -- Nina Norris and Lou Wagner. Ray was a coal miner in Moatsville, near Philippi. Ray died of unknown, mysterious causes at the age of 36 on May 2, 1950, and was buried near his parents in the Welch Cemetery. His brother Luther was the informant on the death certificate. Son Edward Kennedy Sr. (1939-2010) was born on March 4, 1939, in Philippi. At the age of 29, he moved to Canton, Stark County, OH. He married Nadine Thelma (McCausland) Speakman ( ? -2003) on Aug. 30, 1969, when he was age 30. They resided in Sebring, near Canton, and attended the Alliance First Assembly of God. Thelma had been married before, to Lloyd E. Speakman, and brought these children into the marriage -- Kevin Speakman, Vicki Sue Tignor, Doug Speakman, Rick Speakman, Edward Kennedy Jr. and Deborah Miner. Edward and Thelma produced two more children of their own -- Ray Kennedy and Ron Kennedy. Said the Canton Repository, Edward worked at "the American Steel Foundry, where he was employed as a welder and a lift truck operator. [He] was a member of the Fraternal Order of the Eagles. As a pastime, he enjoyed hunting fishing and camping." Nadine passed away on Oct. 24, 2003, following 34 years of marriage. Edward also suffered the deaths of their son Kevin Speakman and grandson David Allen Tignor. Edward passed away at the age of 71, on March 7, 2010, at Mercy Medical Center. The Repository said he was survived by 13 grandchildren, several great grandchildren, and "several others that lovingly referred to him as 'Dad'." He was laid to rest at Highland Memorial Park, with his son Edward Jr. officiating at the funeral with Pastor Michael Ping of Alliance First Assembly of God. Grandson Ray Kennedy married Barb and lived in Massillon, OH. Grandson Ron Kennedy dwelled in Massillon. Step-grandson Kevin Speakman died young. Step-granddaughter Vickie Sue Speakman (1965-2015) was born on Jan. 10, 1965 in Canton. In about 1991, when she was age 26, she married David Tignor. They lived in Roseville, OH and had four children -- David Allen Tignor, Brady Douglas Tignor, Bryce Lloyd Tignor and Kaden Robert Tignor. Vickie was employed as a department manager by by Walmart along Maysville Pike. She was a member of the St. Paul's Lutheran Church in Roseville. Said a newspaper, she "loved visiting the library." Sadly, Vicki passed away at home on Sept. 16, 2015. Pastor Al Laese officiated at her funeral service, followed by interment in Rosehill Cemetery in Roseville. Step-grandson Doug Speakman was wedded to Janet and lived in Minerva, OH. Step-grandson Rick Speakman made his home in Minerva. Step-grandson Ed Kennedy was united in wedlock with Missy. They resided in Alliance, OH. Step-granddaughter Debra wed David Miner. Their home was in Minerva. Step-grandson Amos Croston made his home in Philippi circa 2010. Son Luther Kennedy (1916-1984) was born on April 30, 1918. On Aug. 1, 1951, at Simpson, Taylor County, Luther wed Druzilla Mayle (1924-1984), also spelled "Druzella," the daughter of Joseph and Missouri Mayle. Luther was age 32, and Druzilla 27, at the time of marriage. Rev. Fred Decost, minister of the Olive Hill Church, performed the nuptials. The Kennedys were longtime residents of Moatsville and had four children -- Marty Kennedy, Paul Kennedy, Susan Mayle and Connie Tabler. Luther "was a former employee of Barbour Produce Company and attended the West Hill Wesley Methodist Church," reported the Barbour Democrat. Druzilla passed away on April 23, 1984. Luther only survived her by a few months. He died in Broaddus Hospital in Philippi on July 13, 1984, at the age of 67. Rev. Mark Miller and Rev. Murray Maley officiated at the funeral, with burial at Welch Cemetery. Son Paul Kennedy married Robin Mayle, daughter of Henry and Mannie (Bell) Mayle. They lived in Alliance, Stark County and Carrollton, Carroll County, OH. Their three daughters were Kathlean D. "Katie" Kennedy, Sara Kennedy and Paula Kennedy. Tragedy rocked this family on June 6, 2014, when 25-year-old daughter Katie was killed in an automobile accident. Interment was in Evergreen Cemetery. Son Rev. Isaac Kennedy (1919-2011) was born on July 20, 1919 (or 1921) in Chestnut Ridge. At the age of 18, Isaac married 18-year-old Lillie Poe (1919- ? ), the daughter of William A. "Bill" and Melvina Poe. The ceremony was held on July 2, 1937, at Philippi, led by Rev. O. Cunningham of the African Methodist Episcopal Church. They had five children -- Scott Kennedy, Vulius H. "Kenny" Kennedy, Velma Marie Adams, Cheryl Rae Kennedy and Jeffrey Kennedy. 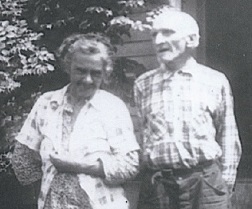 Isaac and Lillie both lived at Moatsville at the time of marriage, and remained there for decades. Known as "Brother Ike," Isaac made his living over the years as a carpenter, coal miner and farmer, but was better known as a Christian pastor and teacher. During the winter of 1958, Brother Ike and a group of faithful members began to pray that God would send a minister to the Chestnut Ridge Church and in the spring of 1959, the Rev. J. Frank Peoples came to the community to begin his ministry in the county. At that time, Brother Ike and Lilly joined the Chestnut Ridge Church, and he became the assistant pastor and teacher of the adult Sunday School class. In 1964, the congregation began to build a new building and Brother Ike spent hundreds of hours working on the church and sharing his construction skills. Brother Ike has preached revivals, youth rallies and missionary services and has taken part in or preached funerals for many members of the community. On April 12, 1997, Brother Ike was recognized by the congregations of Peoples Chapel Church and the Ford Run Pentecostal Church and many of his Christian friends for his 50 years of faithful living for Jesus Christ and four decades of ministry in and around Barbour County. Sadly, Lillie passed away on April 28, 1994, ending a marital union of 57 years. Isaac outlived her by 17 years. He made his home in his final years in Baughman Towers and Mansfield Place, Philippi. He passed away at the age of 90 on Aug. 23, 2011, at Davis Memorial Hospital in Elkins, the last of his immediate family. He joined his wife in eternal repose in Welch Cemetery, with funeral services led by Rev. Winfield Mayle and Rev. Jack Mayle. Babcock & Wilcox's Koppel plant near Beaver Falls, PA. From a painting by Howard Fogg for the Pittsburgh & Lake Erie Railroad Co., of the New York Central System. Son Vulius H. "Kenny" Kennedy (1944-2014) was born on Aug. 4, 1944 in Philippi. He was a Korean War veteran and migrated to Beaver Falls, Beaver County, PA where he graduated from high school in 1962. At age 24, he wed Ursula Orzechowski on Feb. 17, 1968. They resided in Ellwood City, Beaver County, PA and had three children -- Michael Kennedy, Timothy "Skip" Kennedy and Steven Kennedy. Skilled as an electrician, Vulius was employed for 22 years by Babcock & Wilcox in Koppel near Beaver Falls and in 2008 retired from Ellwood Quality Steel. In his spare time, he was active with fishing, golfing, playing cards and woodworking, as well as coaching his three sons in the Wur-Ell-Wayne Baseball League. Vulius died at the age of 69 in Pittsburgh's UPMC Mercy Hospital on March 9, 2014. Following a mass of Christian Burial at the Holy Redeemer Church, led by Father Mark Thomas, he was laid to rest in Holy Redeemer Cemetery. A lengthy obituary was published in the Beaver County Times. Daughter Velma Marie Kennedy (1952- ? ) was born on Christmas Eve 1952. On Dec. 28, 1968, at age 16, she married 19-year-old Michael Joy "Mike" Adams (1949- ? ), son of Everlyn E. and Lillian (Dalton) Adams. Rev. J. Frank Peoples officiated. On their marriage application, they disclosed their color or race as "Colored." They lived in Philippi. Daughter Cheryl Kennedy made her home in Philippi. Son Jeffrey Wayne Kennedy (1946- ? ) was born on July 25, 1946. At age 19, he wed a cousin, 16-year-old Luwanda Jane Newman (1949- ? ), daughter of Wince and Icie (Mayle) Newman of the family of Elza Mayle. On their marriage license, they stated their color or race as "white." Rev. J. Franklin Peoples led the ceremony in Philippi on April 2, 1966. They resided in Philippi. Son Delbert Kennedy (1920-1981) was born on Oct. 12, 1919. At the age of 26, on Feb. 18, 1945, he wed Helen Marie Mayle (1923- ? ). The ceremony was performed at Meriden, near Philippi, by Rev. M.C. Harris of the African Methodist Episcopal Church. Helen was the daughter of Lloyd and Rosa Mayle, and brought a son to the marriage, Roy H. Mayle. The Kennedys resided in Moatsville, Barbour County, and had five children of their own -- Sonny Lee Kennedy, Wilma Mayle, Shelia Rose Kennedy, Trevia Marie Kennedy and Wendy Lou Kennedy. Delbert was "a retired construction worker, a veteran of World War II and a member of Olive Hill Methodist Church," said the Barbour Democrat. Delbert passed away at age 61 on April 22, 1981. Rev. Kenny Reed and Rev. Winfield Mayle led the funeral, followed by burial at Welch Cemetery. Step-grandson Roy H. "Pee Wee" Mayle resided in Moatsville in the 1981-2008 era. Son Sonny Lee Kennedy (1947-2007) was born on April 8, 1947. He made his home in Moatsville and later moved to Canton, Stark County, OH. He died on Oct. 6, 2007, at the age of 60. Daughter Wilma Lee Kennedy (1950-2008) was born on May 9, 1950 in Philippi. She wed Frank Howard Mayle on Sept. 1, 1972. They lived in Moatsville and two children -- Shannon Michelle Parker and Kevin Brian Kennedy. Wilma was employed as a nursing assistant in local personal care and nursing homes. She attended the Olive Hill Wesley Methodist Church. Wilma passed away following an extended illness, said the Elkins (WV) Inter-Mountain, at the age of 58 on May 8, 2008. She was placed into eternal rest in the Welch Cemetery, following a funeral at the Olive Hill church led by Rev. Winfield Mayle, Rev. Wilbert Mayle and Duke Kennedy. Daughter Shelia Rose Kennedy resided in Moatsville circa 1981. Daughter Trevia Marie Kennedy wed Sheldon Kennedy and made their residence in 1981-2008 in Canton. Daughter Wendy Lou Kennedy was in Moatsville in 1981. By 2008, she had wed Barry Howard and made their home in Conway, SC. Son Gaston Kennedy (1923-1997) was born on May 30, 1924. On Oct. 19, 1947, the 24-year-old Gaston married 22-year-old Garnet Ruth Poe (1925- ? ), daughter of William A. and Melvina Poe. Rev. M.C. Harris, of the African Methodist Church, officiated. The Kennedys and Poes were close, as Gaston's brother Isaac married Garnet's sister Lillie. Their children were Allen D. "Rock" Kennedy, Ronald "Butch" Kennedy and Flo Beeson. They relocated to Koppel, Beaver County, PA, possibly to labor in railroad manufacturing or steelmaking operations there. He apparently moved back to Philippi circa 1984, but may have maintained connections to Beaver County. Gaston passed away on May 27, 1997, at the age of 54. Son Allen D. "Rock" Kennedy (1952-2017) was born on New Year's Eve 1952 in Beaver Falls. In about 1973, at age 21, he wedded Allie Price ( ? - ? ). Their children were Crystal Stoyanoff and Kimberly Stahl. Allen served in the U.S. Army. He was employed as a crane operator with IPSCO, a company making and fabricating steel. They dwelled in Koppel, Beaver County. Allen died at home at the age of 64 on Aug. 15, 2017. Interment was in Grandview Cemetery, following funeral services led by Rev. Lee Bittner. Granddaughter Crystal Kennedy married Jason Stoyanoff. They lived in West Mayfield, Beaver County. Granddaughter Kimberly Kennedy wedded John Stahl. Their home in 2017 was in Brighton Township near Beaver, PA. Son Ralph Edward Kennedy (1925-2009) was born on Sept. 3, 1925 in Moatsville, Barbour County. At the age of 23, on Nov. 8, 1948, he married cousin Violine Croston (1928-2014), also spelled "Violene," daughter of Earl and Laura "Fez" (Mayle) Croston, and granddaughter of Frank Mayle. As with several weddings of Ralph's siblings, Rev. M.C. Harris of the African Methodist Church led the ceremony. Ralph and Violine did not reproduce. They moved to Canton, Stark County, OH and lived there circa 1981-1984. Later, they returned to Moatsville for good. Sadly, Ralph died on Oct. 30, 2009, in Moatsville, at the age of 84. Violine spent her final years in the Altercare of Nobles Pond Nursing Home. She died there at the age of 86 on May 6, 2014. Burial was in Welch Cemetery in Philippi. Son Herbert "Hoover" Kennedy (1928-1999) was born in 1928 and was named after the president of the United States. On Sept. 25, 1955, when he was age 27, Hoover married 19-year-old step-cousin Shelda Jane Kennedy (Nov. 16, 1936-2018), daughter of Carson and Leona (Norris) Kennedy of the family of Ruth Ann (Minerd) Mayle. They resided on Frost Run Road near Philippi. The couple did not reproduce but had one foster daughter, Shannon Michelle Bryant. Hoover "was retired from the Maintenance Department of Alderson-Broaddus College and was a former employee of the National Iron & Metal in Canton," said a local newspaper. "He conscientiously attended a number of area churches but considered his home church to the the Pentecostal Church of Ford Run. He was known by his many friends for his open and friendly manner." Hoover died at the age of 71 on Dec. 14, 1999, with burial at the Welch Cemetery following a funeral service conducted by Rev. Winfield Mayle. Shelda Jane outlived her husband by more than 18 years. She "enjoyed reading, playing the electronic keyboard, singing and cooking, especially for others," recalled her family. "She was a giving and caring person who opened her home to others." At the age of 81, Shelda Jane succumbed in United Hospital Center on April 27, 2018. Rev. 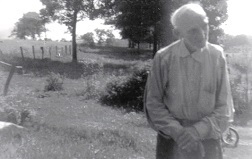 Ezik Norris led the funeral service, with interment in Welch Cemetery. Daughter Shannon Michelle Bryant ( ? -living) was born in (?). She married Henry Parker ( ? -living). They reside in San Antonio, TX and have two children -- Isaiah Parker and Alani Parker.